We can all agree just from observation over the past couple of months that Fallout 76 has a variety of issues, but the preponderance of duped items is definitely on that list. While Bethesda has been doing its best to track down the methods used to dupe items, players seem to quickly find ways around those blocks. The maintenance today is taking a different angle, though: It’s not patching the game to remove a duping method, it’s just destroying duped items right out of player inventories. The maintenance is also hoping to fix some network latency issues, but the removal of the duped items is obviously the more important aspect. 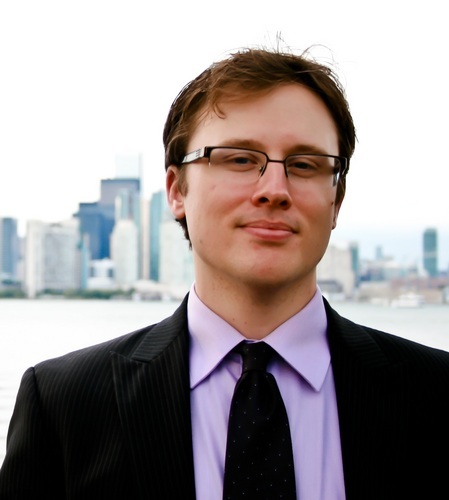 The announcement stresses that only a small percentage of players will be affected by the item removal as only a small number of players actually have duped items, and items will be removed from both player inventories and stashes. So if you’ve been playing legitimately, you hopefully won’t notice any change… but if you’ve been running around with ill-gotten gains, you may find yourself short several items post-maintenance. I don’t know why I’m still reading this stuff, I uninstalled the game now and won’t be putting it back anytime soon, if ever. If they really made a lot of huge changes I’d re-install, but considering the speed they do anything in this game it would be numerous years in the future. As far as I know I’m done with the game and its shenanigans. If a big rebuild happens I’d go back but as it currently stands I’m not going to wait around for niblets of fixes here and there. I really wanted to like and play this game. I hope they do somehow turn things around and create something nice out of this mess of puke they released. I guess I’ll check back in with them in a few years* and see how things went. tbh i’m only firing up swg, didn’t even bother checking this out, heck not even my daily warframe log in. I’m sure once i’m settled in i’ll fire both back up a little more often, hopefully things are better by then. Haha, many many yellow dots scurrying around nuke zone after nuke zone after nuke zone today. Also there’s this. Will be interesting to see what the Wild Appalachia weekly stuff entails. Whilst I know there are a number of players out there who like the game and the game looks improved overall now compared to a few months ago (at least in terms of game stability and bug fixes), I’m seriously hoping that Bethesda are learning that disastrous first impressions are incredibly difficult to recover from and take this forward to their future releases. This is like the police tracking down a gang of bank robbers in order to retrieve the stolen money but leaving the robbers to go free, so they can go rob the bank a second time because the bank have not updated their security procedures post-heist. Derp. Nice pic of Me after i log in tonight. My ticket response; You never exploited or cheated? So sry we never accounted for that. Here’s a diluted stimpack. What kind of alien monstrosity is that?! 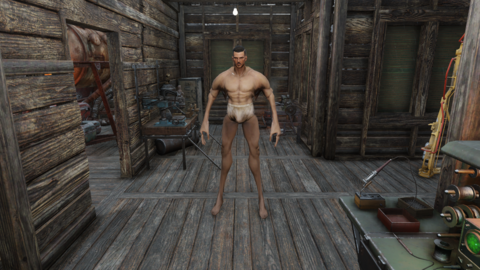 Is that what you actually look like in Fallout 76 when taking your clothes off?! lmao and no, lol i mean i didn’t even notice that but yea wtf lol. Of note, if you got a duped item in a trade that item should be destroyed too, so innocent players should be affect as well, though Bethesda says it’s a small number. I haven’t been paying much attention to F76 since the disastrous launch, but it seems like every other headline on the subject is about them closing loopholes, or fearful players worried that their accidental discovery of hidden assets will result in a ban. Guys, that’s a fully broken game. Instilling that much of a culture of fear around a game that is basically an exploit detection engine is full indication of failure.